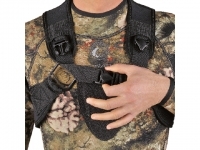 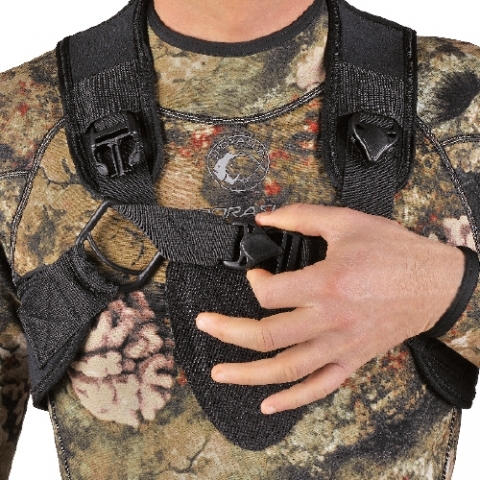 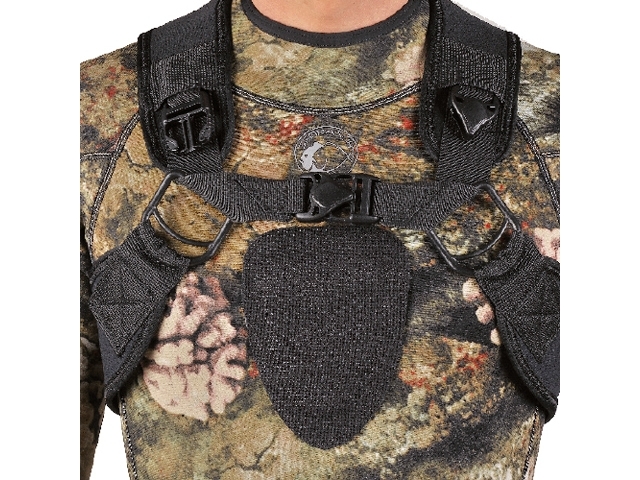 • New Sporasub camouflage 3D Quick Release Harness with featuring an innovative quick release system that allows to take it off it with a simple movement, greatly improving its safety. • It features 6 back pockets and 2 front pockets to carry each one the 600 gr (1.3 lb) weight plates for a maximum weight of 4,8 Kg ( 10.6 lb). 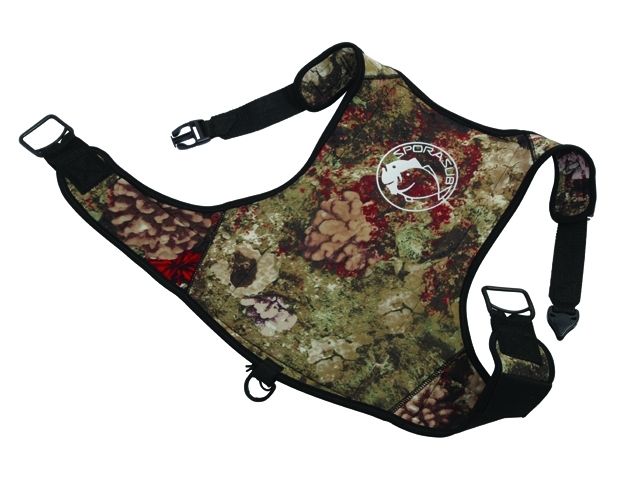 • Available in black in sizes M, L and XL.